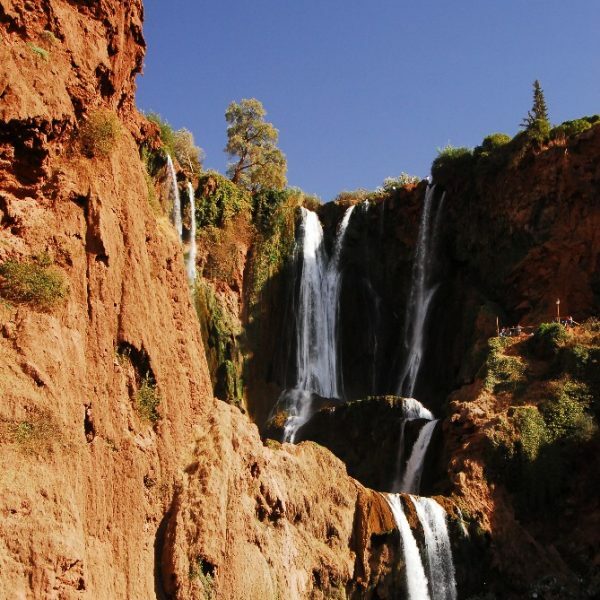 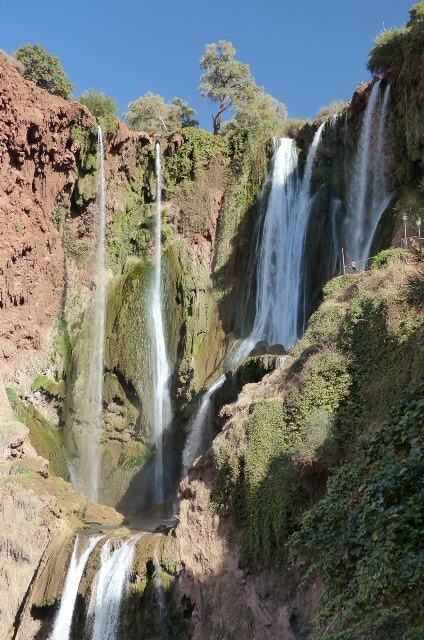 Situated in 150 km from Marrakesh, the waterfalls of Ouzoud are the most beautiful waterfalls of Morocco. 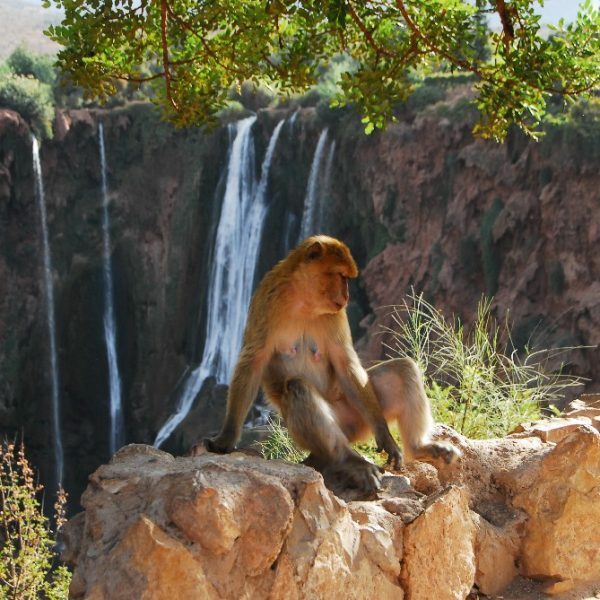 On a total height of 110 meters, they form a complex of 3 very big waterfalls (the biggest with a 75 meter jump) and several modest falls. 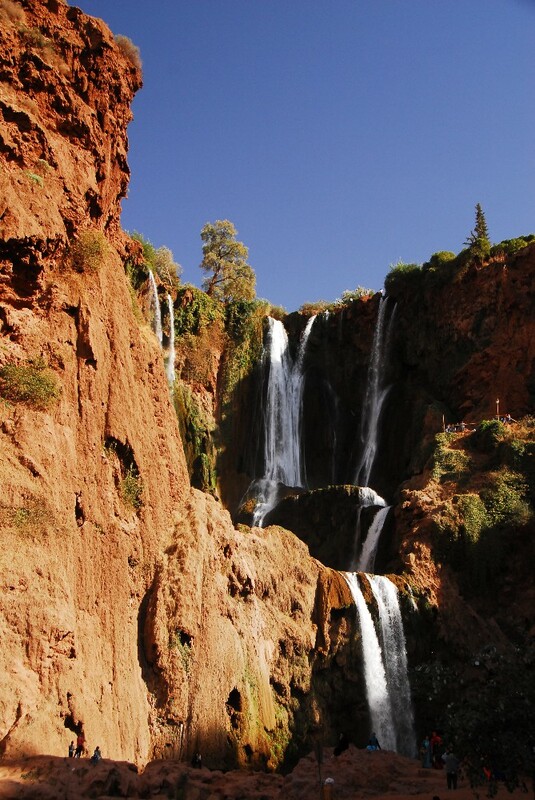 Waterfalls are nested in a magnificent circus of red stoneware in the luxuriant vegetation. 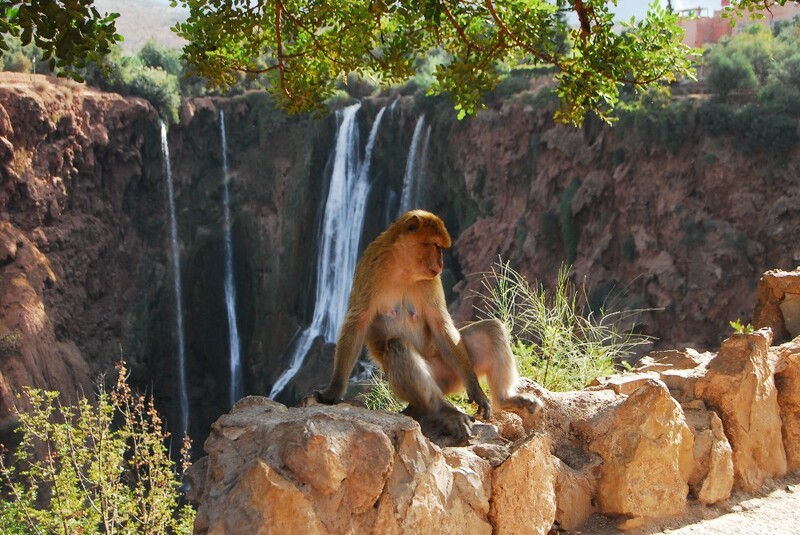 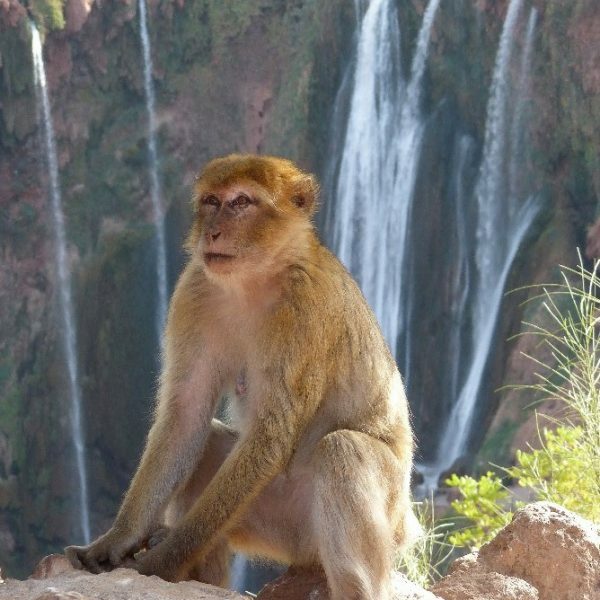 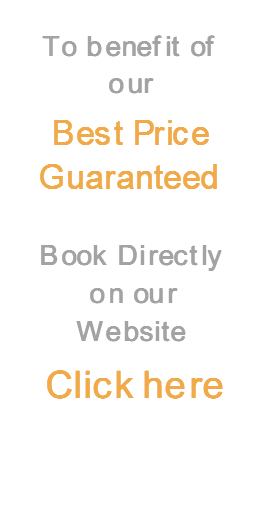 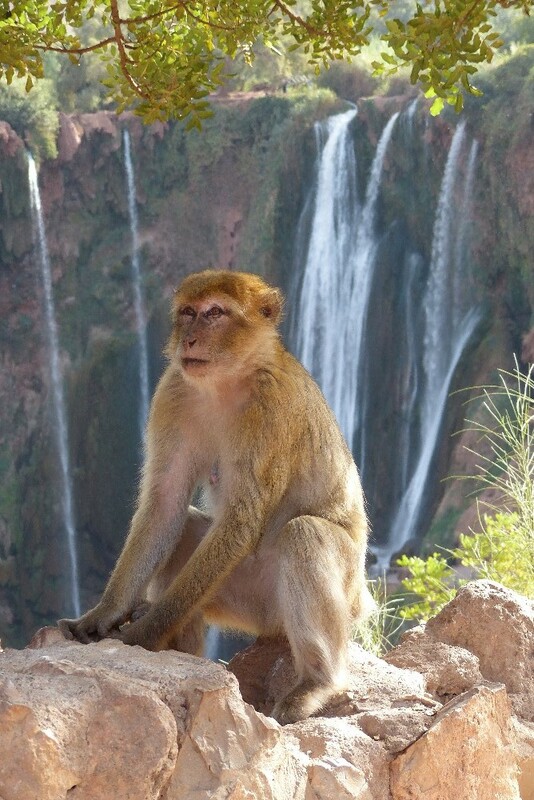 We can observe numerous Berber macaques monkeys, the only macaque living on the African continent.